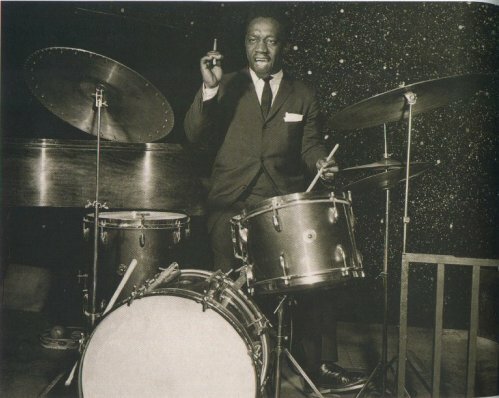 Art Blakey started as a pianist, but switched to drums. Blakey emerged in the 1940s, when BeBop was changing the face of jazz. 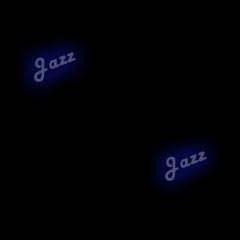 In 1954, Blakey and Horace Silver formed the first version of the Jazz Messengers (his group). His group defined the Hard Bop sound of the day (passionate BeBop with blues and gospel influences). Blakey was constantly bringing in young players into his group for new energy and influence. His eye for scouting young talent was exceptional, as Clifford Brown, Lee Morgan, Freddie Hubbard, Wynton Marsalis, Terance Blanchard, Wayne Shorter, Hank Mobley, Kenny Garrett, Johnny Griffin, and Bobby Watson, among others, passed through the Jazz Messengers. Blakey developed a repertoire of explosive snare drum rolls, hustling accents, and a whirlwind cymbal beat that created a color of sound. He continued to play, well past his 70th year, and was a big reason why the bop tradition remained popular with young players through the 1980s. He died in 1991. Art Blakey - robust info on tons of Blakey recordings!